Tata Motors, country’s popular car manufacturer will be launching TIGOR Sedan on 29th March in India. TIGOR is a brand new name for “Kite 5” sedan which was first shown at Auto Expo 2016. TIGOR will be based on similar platform as that of Tiago hatchback. According to reports by IAB, the launch of Tata TIGOR should happen in India within 22 days – as per the details provided by Mayank Parekh who is the president of Tata Motors (that should be on 29th March 2017). Thanks to models like Tata Tiago and Tata Hexa, Tata Motors’ has posted good sales from past 8 months – With TIGOR Sedan joining Tata Motors’ portfolio, the company can further boost its monthly sales. 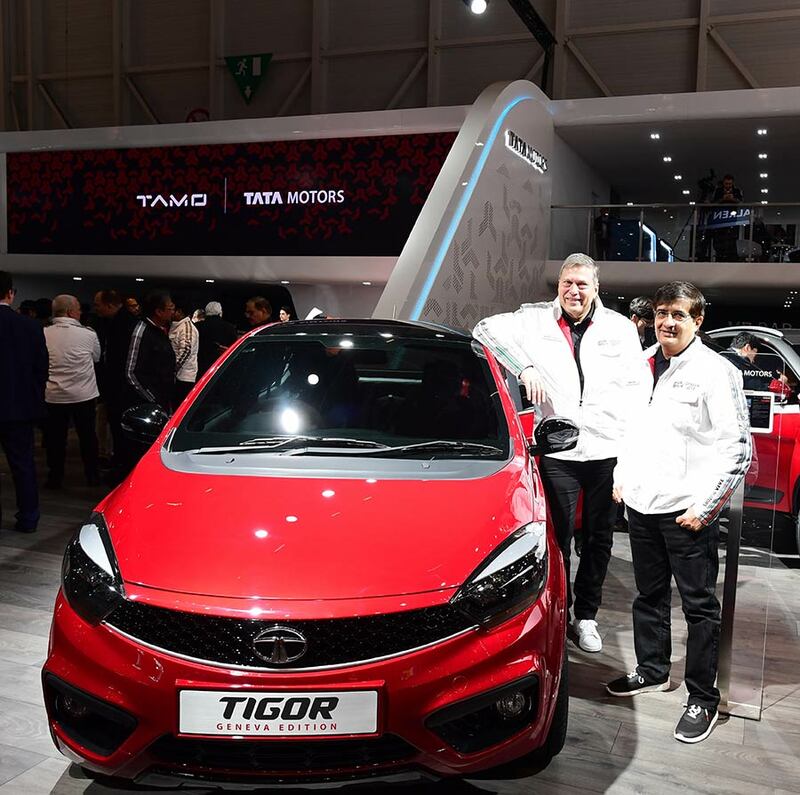 In the on-going Geneva Motoshow 2017, Tata Motors’ launched the special Geneva limited edition of upcoming Tata TIGOR and Tata NEXON. The all new Tata TIGOR is done differently keeping ‘Styleback’ design option in mind, than building a standard 3-box sedan with boot. The all new Tata TIGOR is based on cohesive-looking design that comes with good proportions. The front fascia of TIGOR has similarities with Tiago hatchback, What differentiates TIGOR from Tiago are the features like projector headlamps, a revised bumper design, larger 15″ inch dual tone alloy wheels. Tata TIGOR’s interior design is contrasted by body-colored accents as seen in the Geneva show car. Tata TIGOR will be getting best-in-class features like Harman touchscreen infotainment system with 8-speakers, steering-mounted audio controls, multi-info display, City and Eco Driving modes, and automatic climate control in its top-end XZ grade. The luggage capacity of Tata TIGOR is 420 litres. We will be bringing more details and coverage once the TIGOR is officially launched in India on 29th March 2017.